Many insurance companies and groups were located here in Vienna. And as you know, from my book (Innovationsdruck in der Versicherungsbranche) – I have liked this industry for more than 25 years as well! I also like the challenge, what we will have in the future through digital transformation. 6 years ago I had a vision to support the insurance industry with my enthusiasm to give impulses, ideas, methods, tools, training and workshops to learn together how can we develop an “entrapreneurship spirit“ in the insurance industry. Today, we are doing it every day! With my community from around the world, with you, who want to go to a conference to learn, to exchange experience, to “take the insurance industry to the next level“ – a big thank you to all of you! (and not only to go to a free of charge conference to spend the time out of the office and eat a good lunch!) Because with #MOI an event concept was developed to enlarge our digital perspective, to see the digital chance, to learn to think of the customer perspective and to build a „peer to peer“ network (yes, you know, if somebody doesn`t understand, why should they speak and cooperate with startups, they will not come to #MOI). But we have a great community, for whom I invited future oriented managers from around the world to Vienna, to motivate, empower and exchange experience. I consider myself extremely lucky that my community is currently not the biggest, but the BEST community ever! Thank you for everybody, who supports this idea to grow and grow. Another very important part of #MOI2018 is „the adventure“. Why? 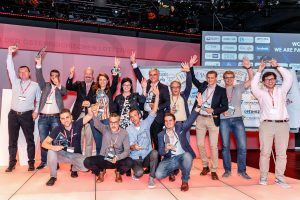 because my competitors look very intensively to my activities, what I`m doing and what I`m organising and next year, you can check their program and you will find some #MOI parts, I’m sure :-). This is not a problem for me, because I created a special „take off“ approach with boarding passes, stewardesses, with an opening performance of „dancing children“ explaining to us the safety introductions. 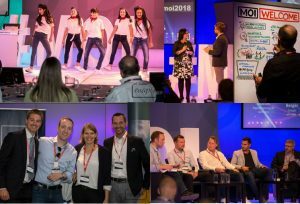 We organised the biggest flashmob ever in the insurance industry with a special dance programme for participants – and you can imagine, everybody in the room, danced with us! „Flieg, flieg …“I hope everybody, who attended our event in Vienna, liked the show and learned a lot and enjoyed Vienna! 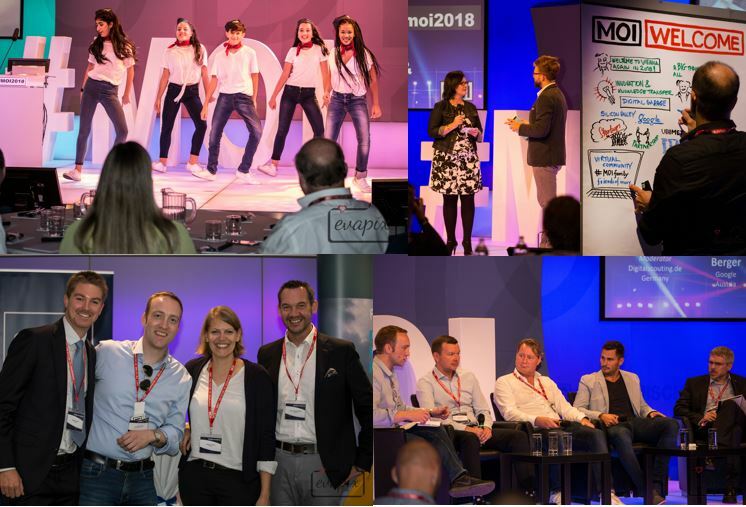 To develop #MOI ideas is a passion for me, and I hope, you will enjoy these ideas again next year (on September 18th-19th, 2019) at #MOI2019, because it will be again “more than an insurance conference“. It`s sure, Patricia from Facebook is coming again, as best keynote #MOI2018 HERE you can reserve your seat!